John Kerry at Davos: Don’t Blame Muslims for Crimes Not Committed by Muslims Alone, In a speech calling for a global effort against violent extremism, Kerry said it would be a mistake to link Islam to criminal conduct rooted in alienation, poverty, thrill-seeking and other factors. 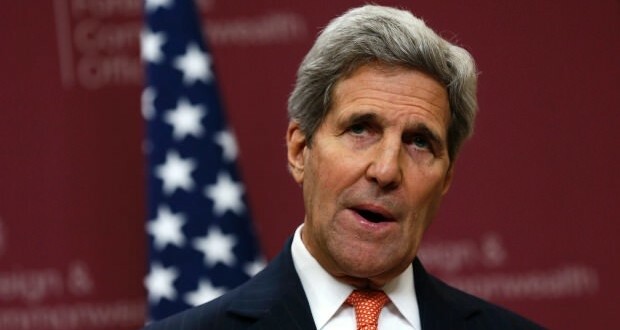 “We have to keep our heads,” Kerry said. “The biggest error we could make would be to blame Muslims for crimes … that their faith utterly rejects,” he added. The Obama administration has come under criticism for its unwillingness to differentiate between Islamic extremism and other forms of extremist violence. another politician kissing the muslims asses.they are all to blame as far as im concerned.them and the illegals are quickly ruining our country.